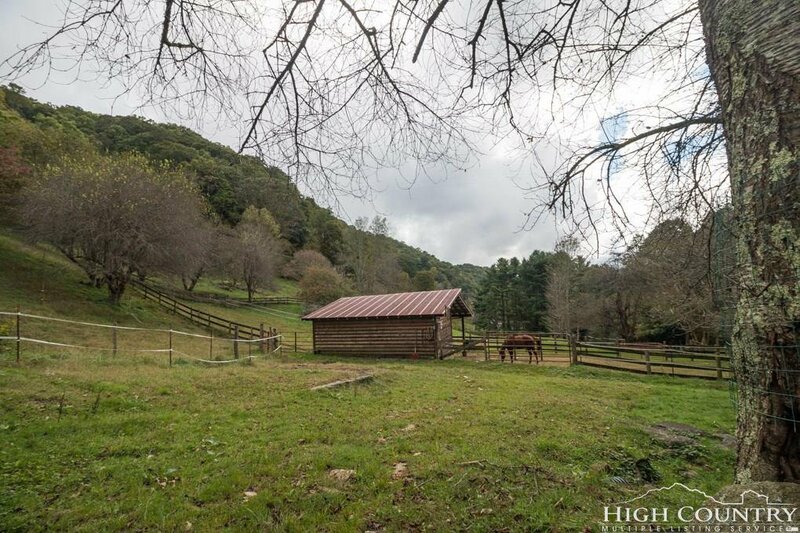 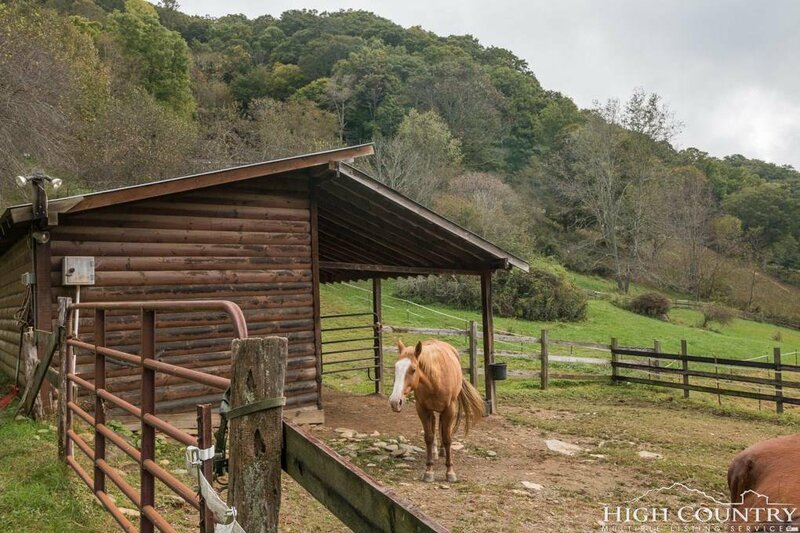 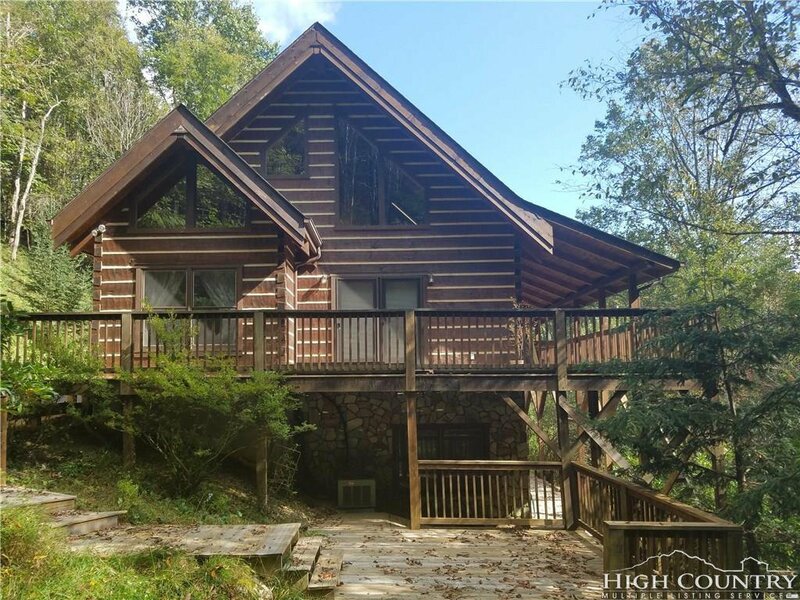 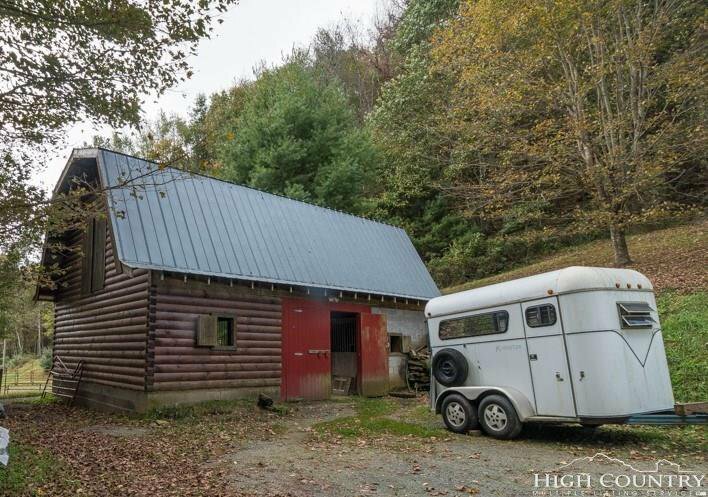 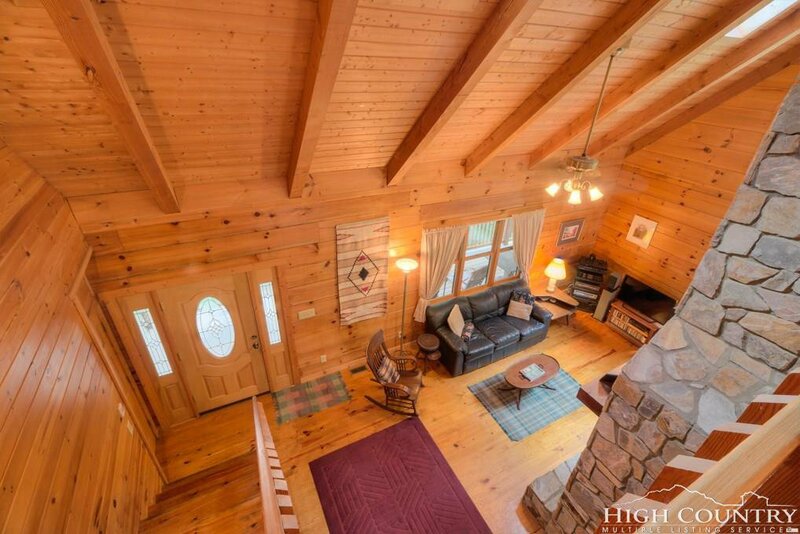 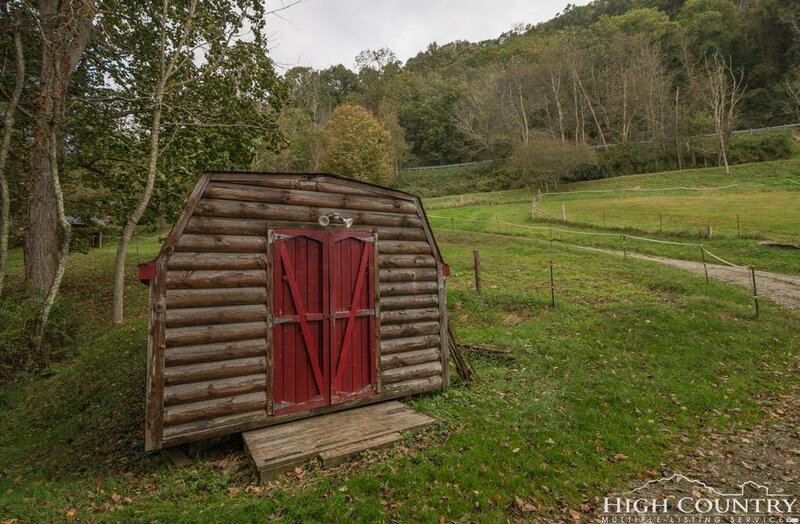 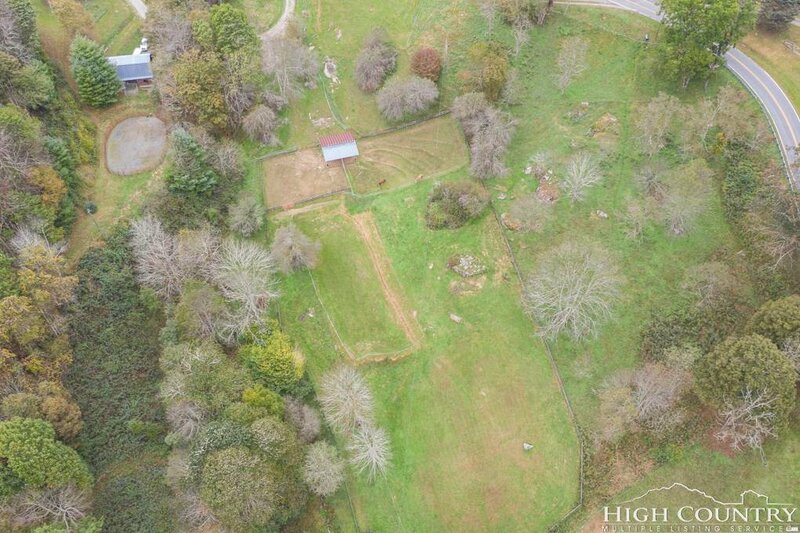 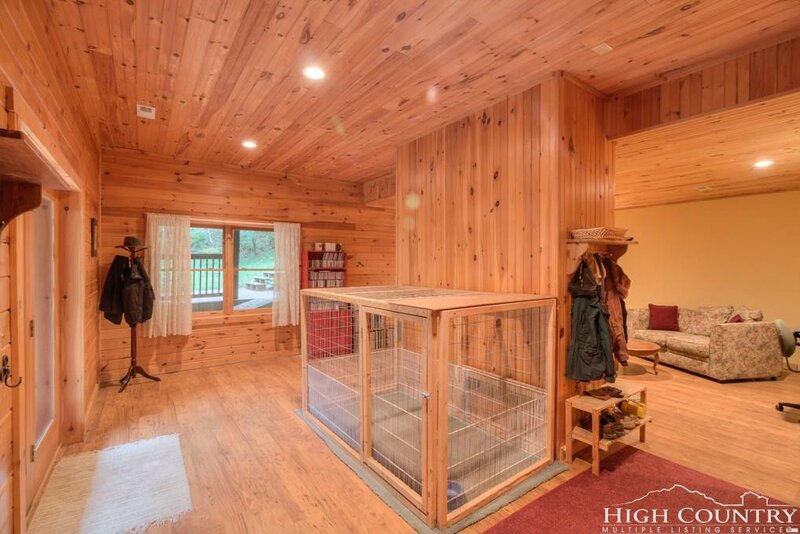 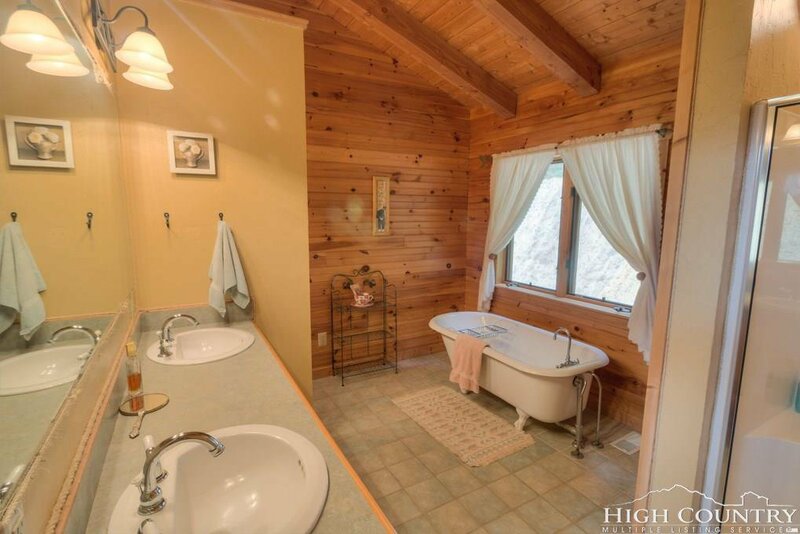 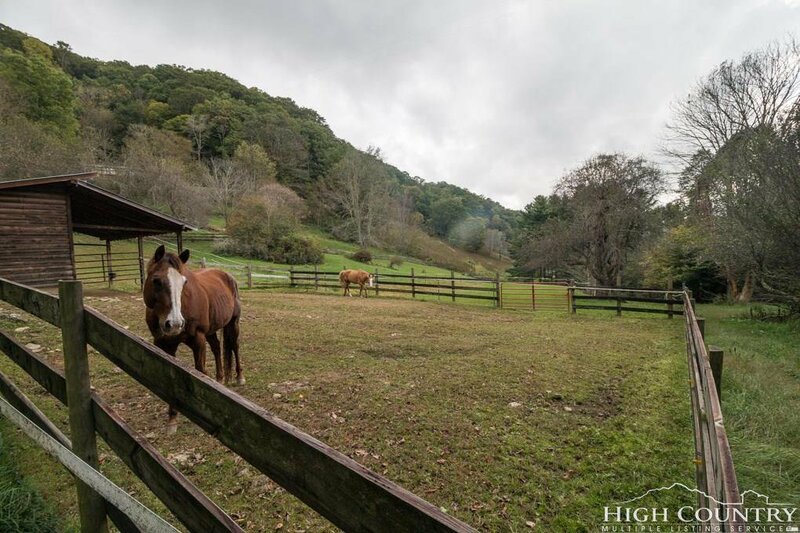 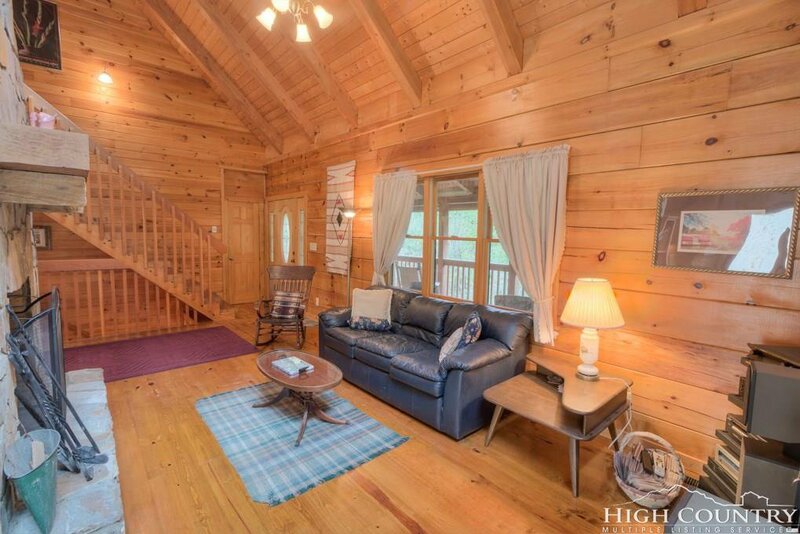 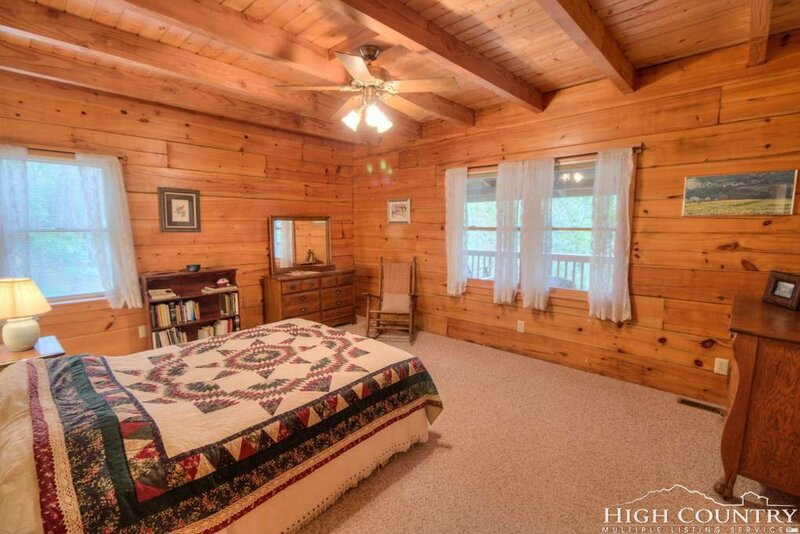 BEST OF BOTH WORLDS with this lovely log home on 12.68 acres with pastures for animals, mini farm, or just to enjoy. 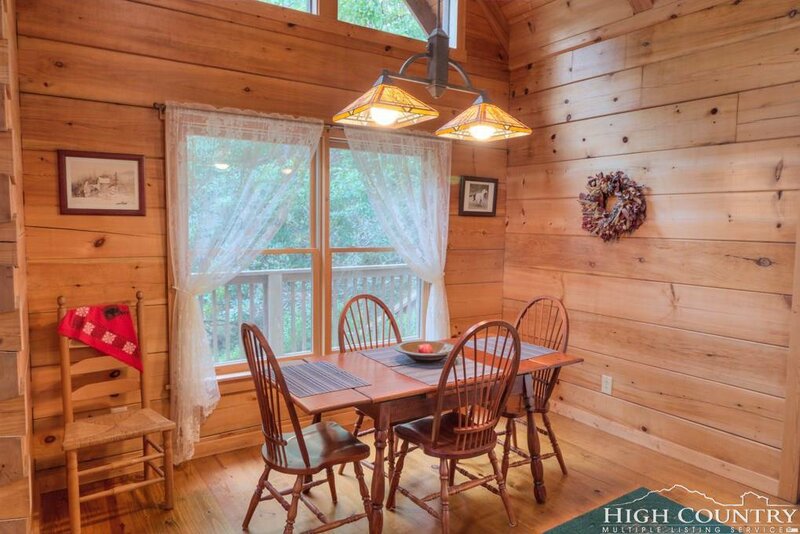 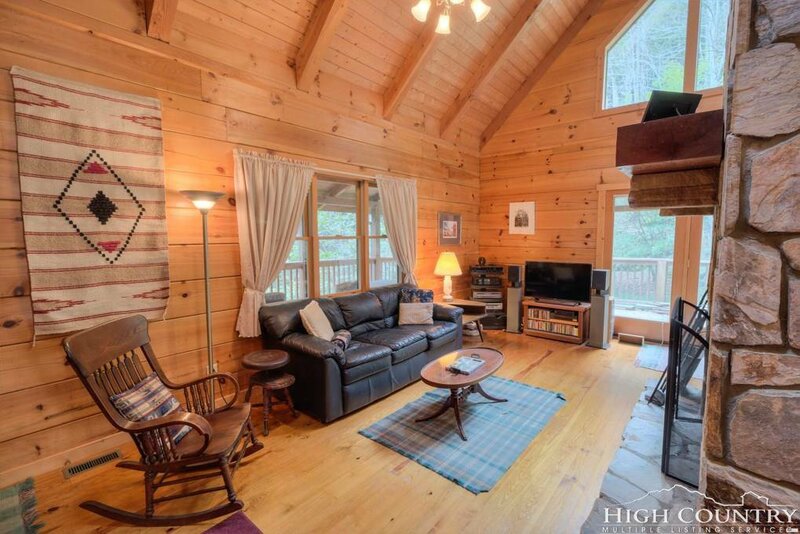 Home sits at the back of the property and boasts cathedral ceilings and open design and ample natural light. 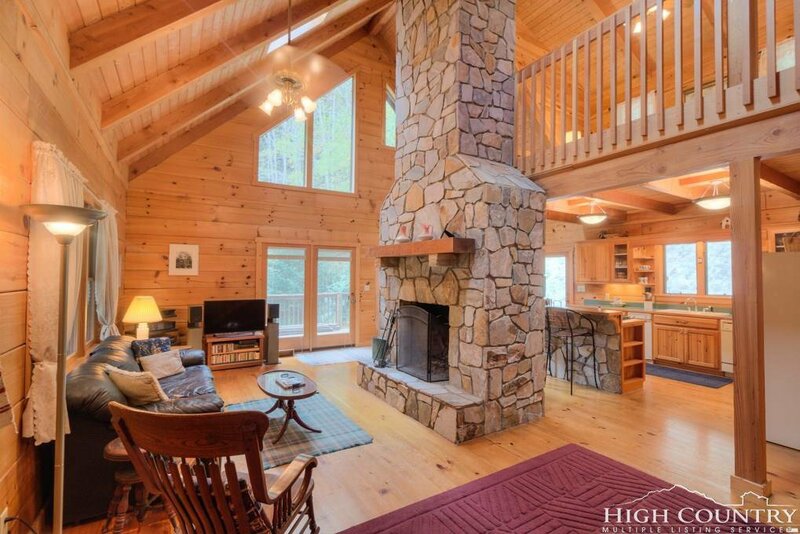 A floor to ceiling stone woodburning fireplace commands the living room. 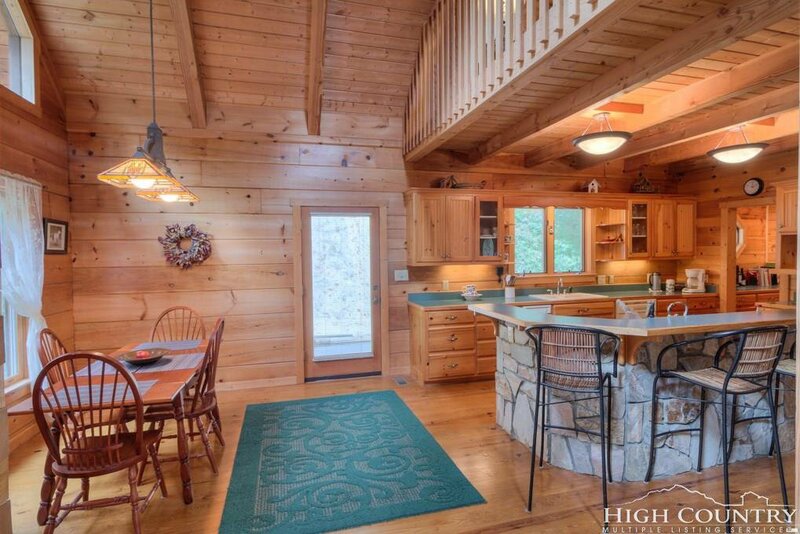 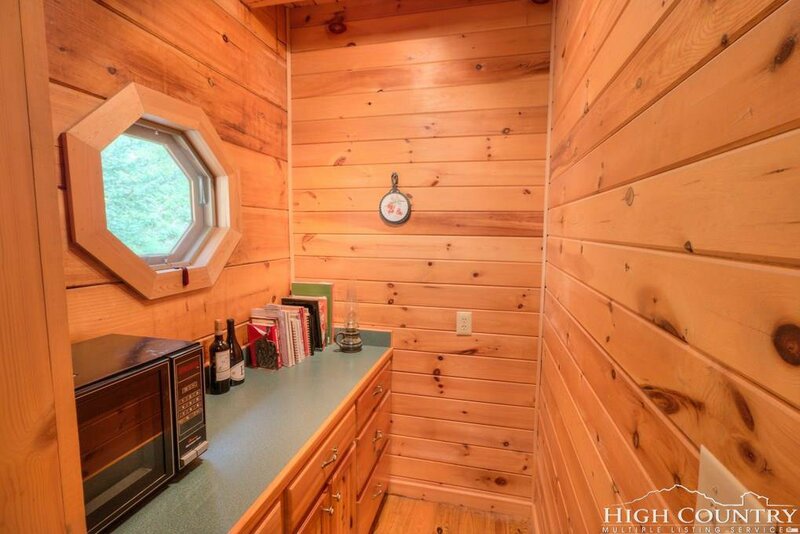 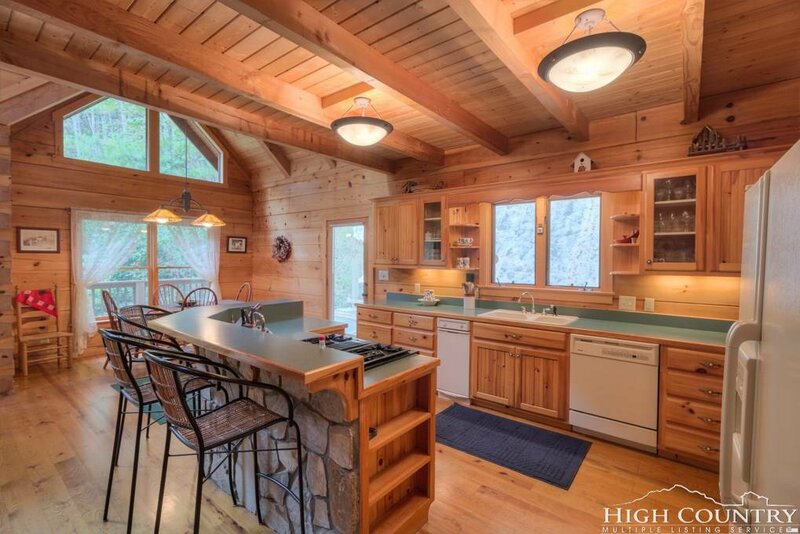 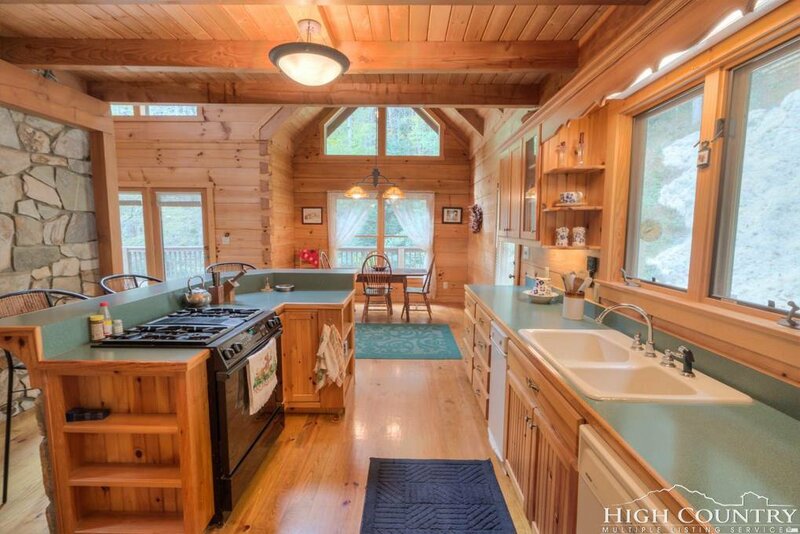 The kitchen has great flow and plenty of counter space along with a breakfast bar. 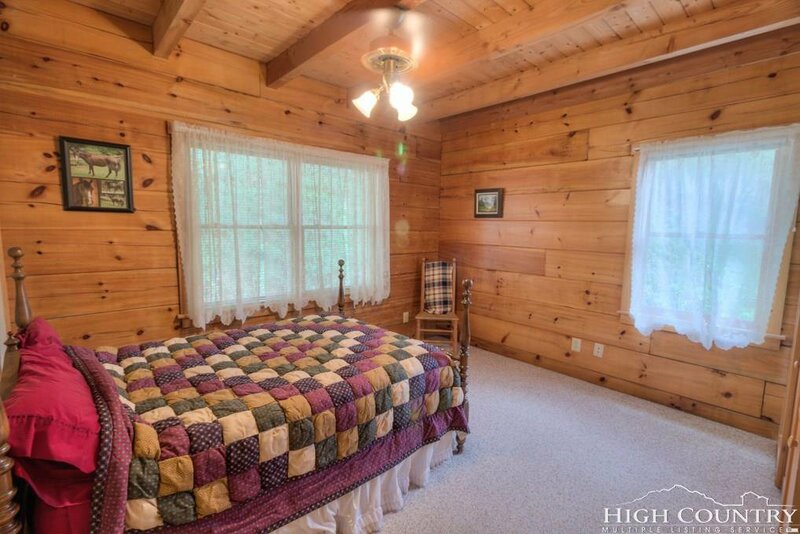 A large bedroom and bonus room used as bedroom as well as laundry are on the main level. 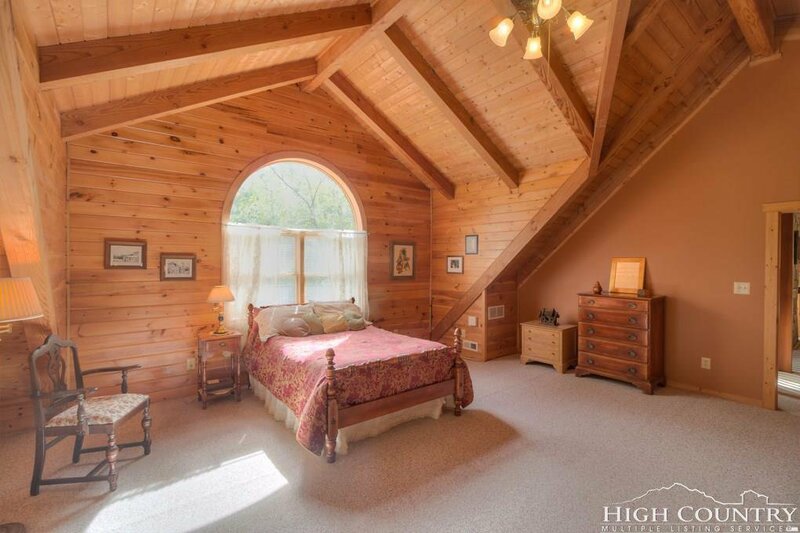 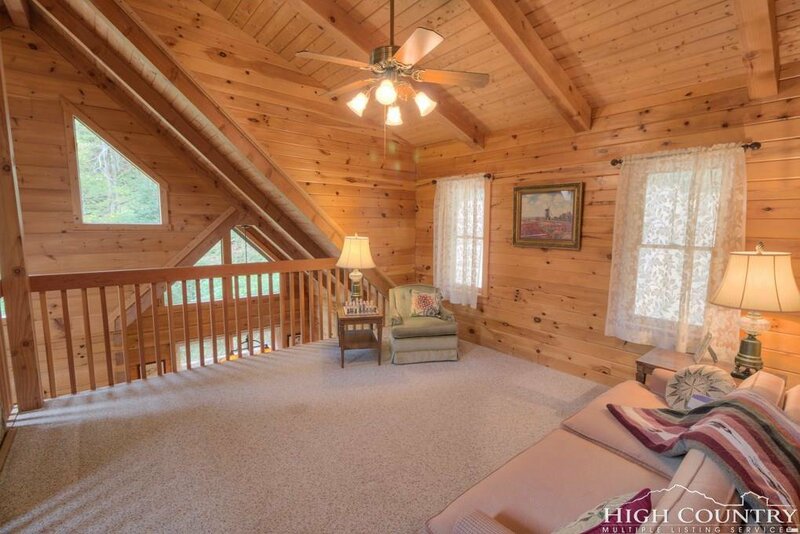 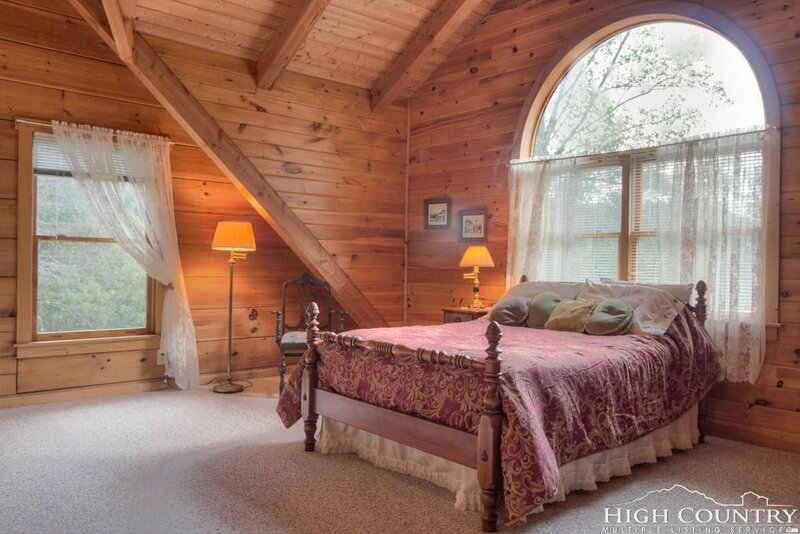 Upstairs is an open loft and large master suite with vaulted ceilings. 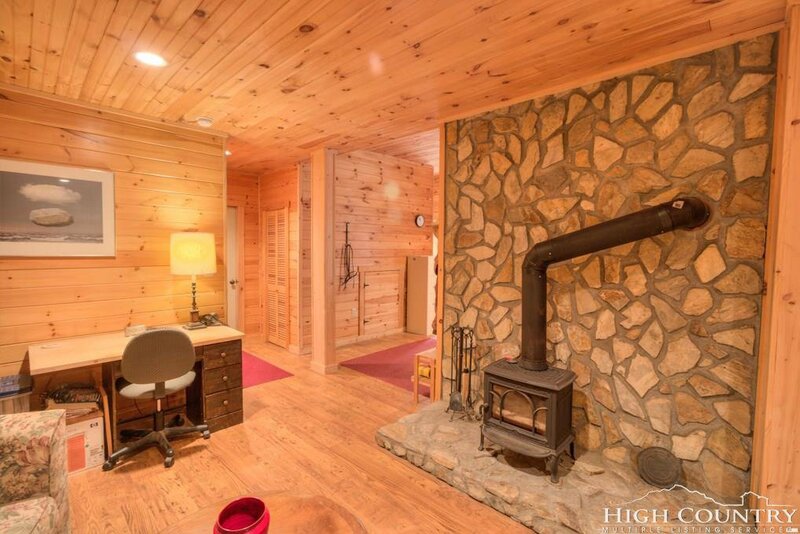 Basement is finished and has a wood stove for additional heat. 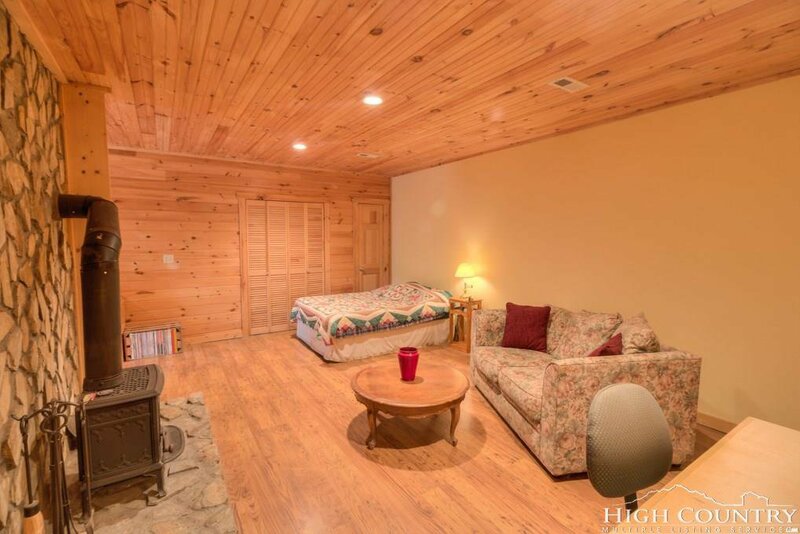 Large two car garage enters at basement. 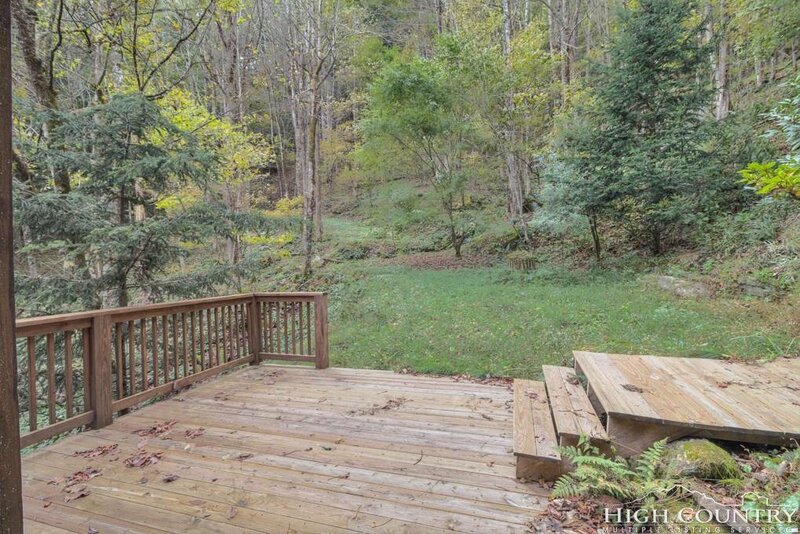 Driveway also extends behind house allowing entry to kitchen. 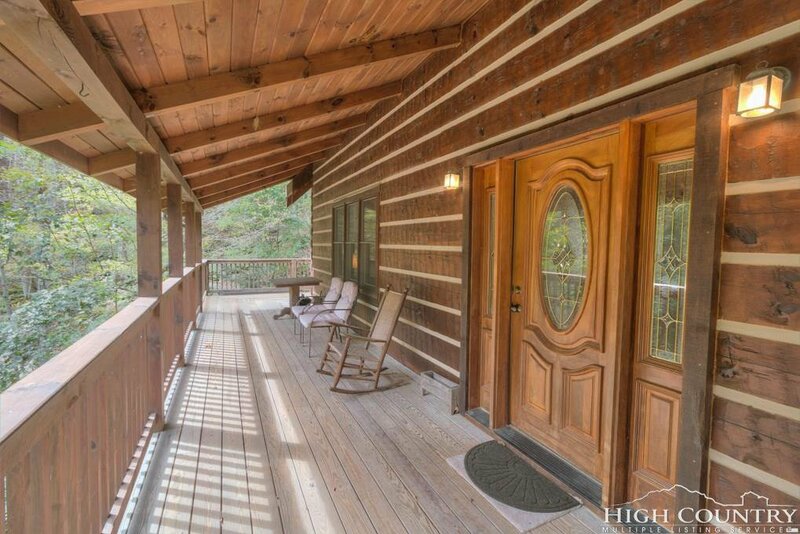 Home is a well-built Logs America home. 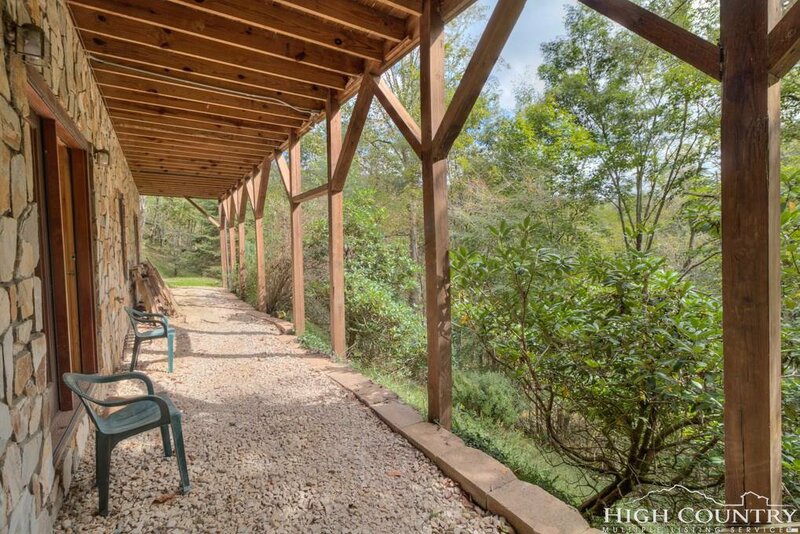 There is nice view potential from the front porch of the home. 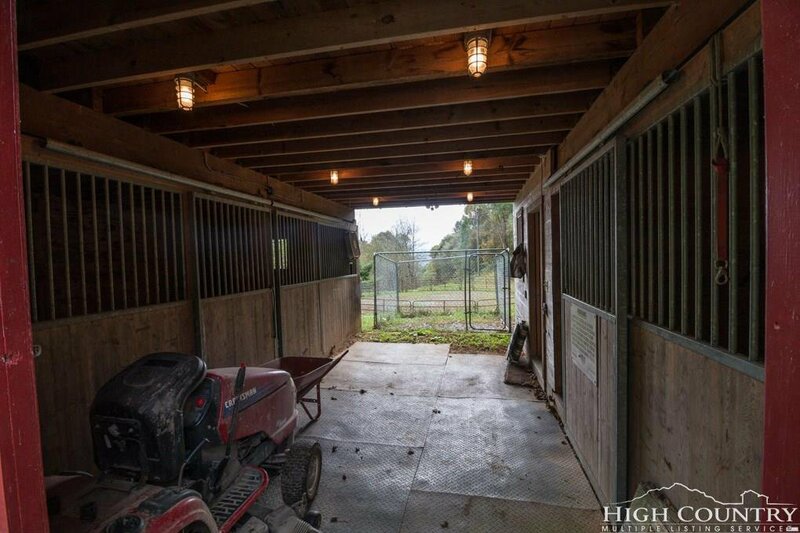 Down the driveway is a barn with drive up loft and three stalls. 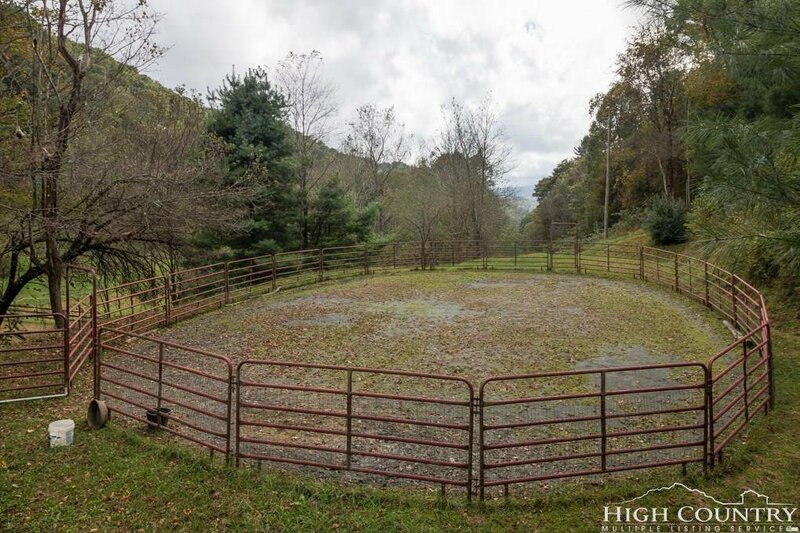 Barn has its own well. 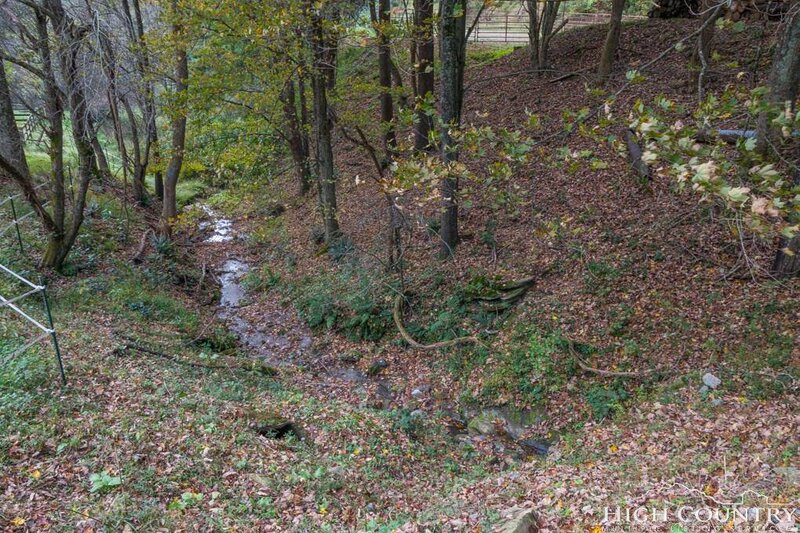 Drive crosses the creek to the pastures. 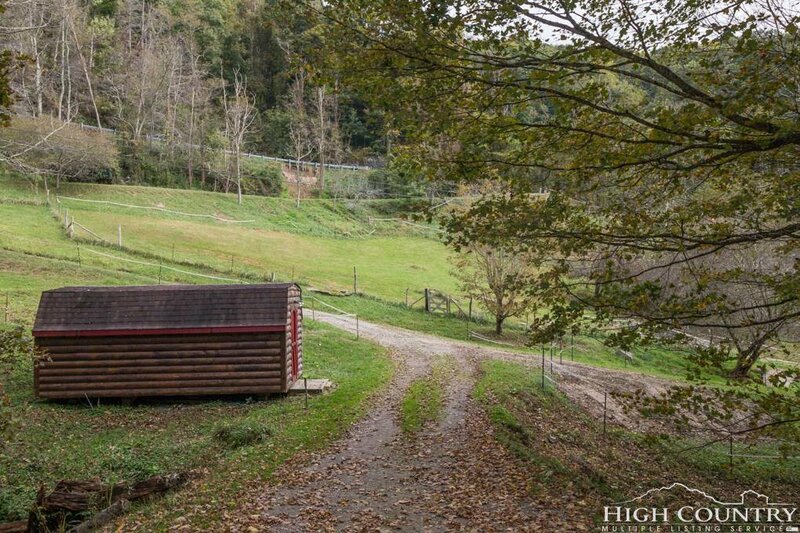 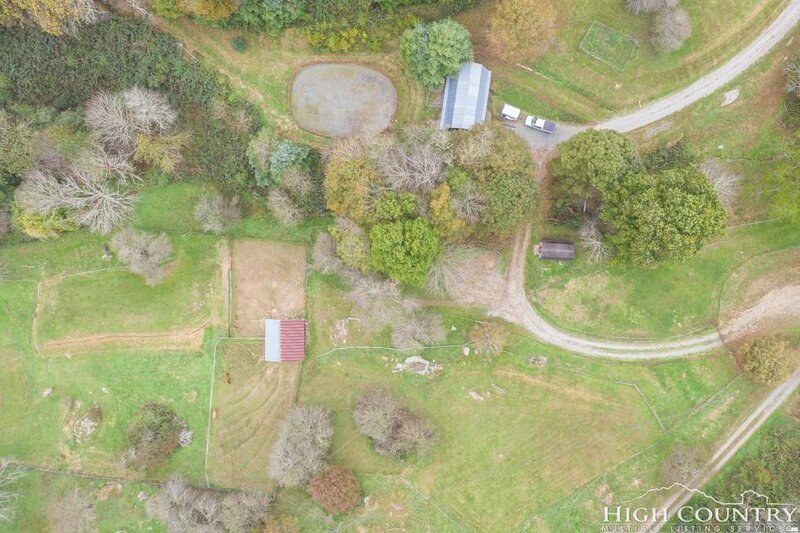 There is a storage shed, large run in shed and smaller run in on the property. 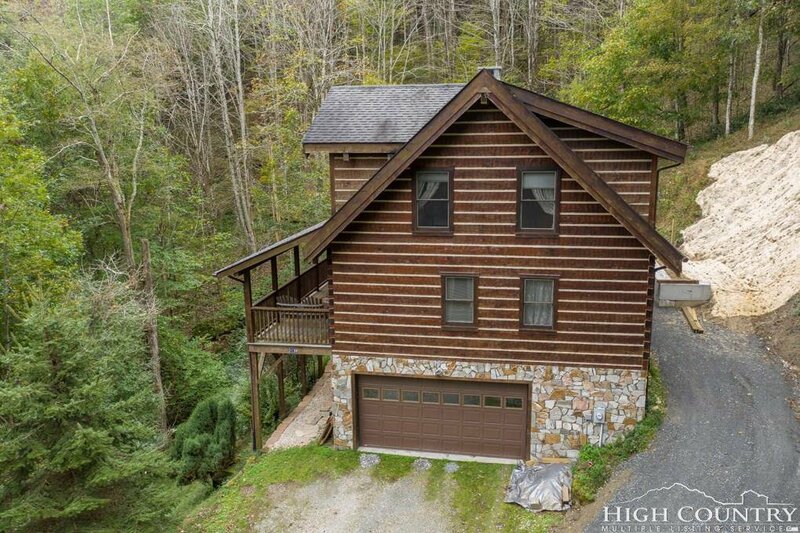 Located less than 20 minutes to Boone. 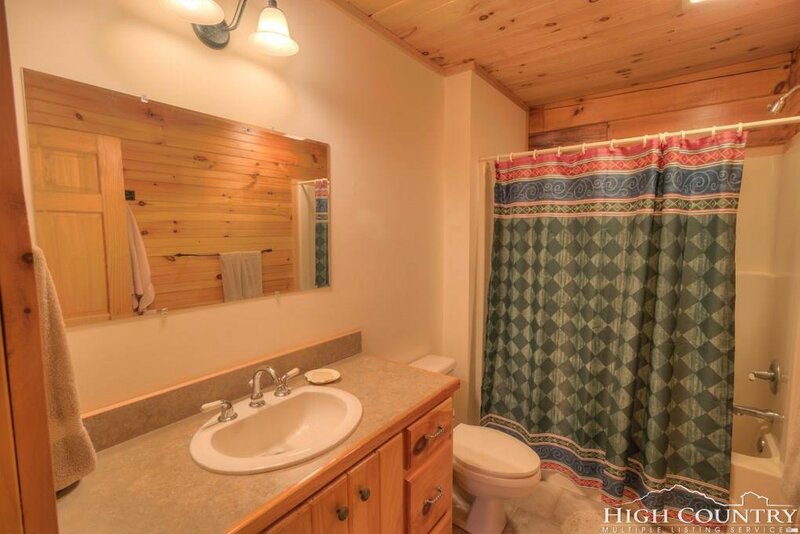 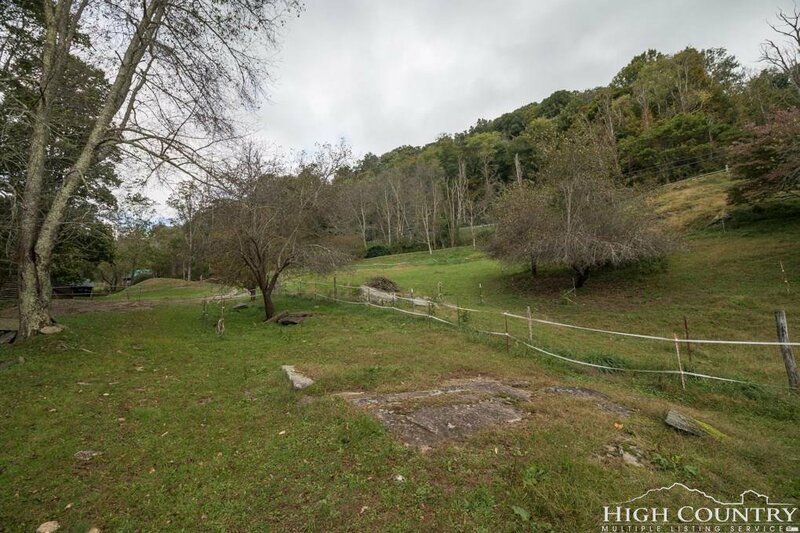 Home is listed as 2 bedroom due to septic size and has three rooms used as bedrooms.